When you require a French drain, have it installed. It can end water drainage problems. It’s important to remember that drains are effective at stopping all kinds of foundation issues that could require foundation repair. Rainwater, floods and topical storms can seriously damage your house foundation. That’s why you should use drains to terminate all kinds of foundation trouble. A French drain may be needed in order to avoid issues such as foundation repair. If you have noticed water standing around your foundation or inside your yard, take action. 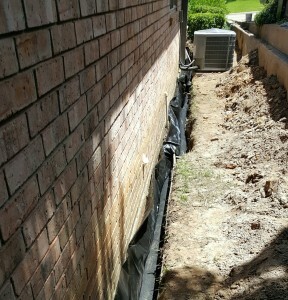 When used in the Dallas, Fort Worth area they end foundation issues by re-directing any water away from your foundation. Because they’re so effective at eliminating the need for foundation repair, they’re commonly utilized in the metroplex. 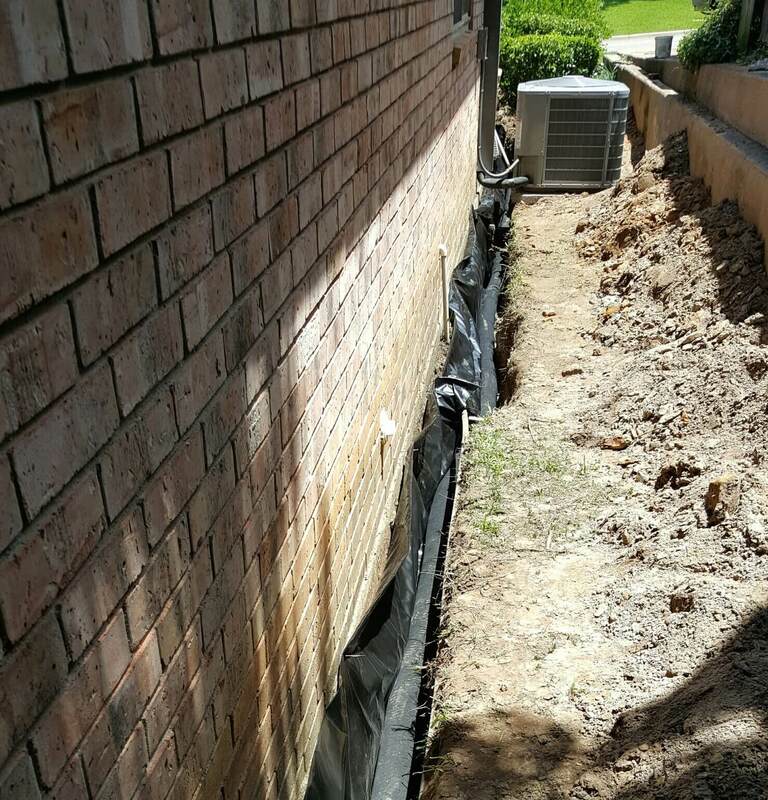 A French drain is particularly popular in the North Texas area because it ends foundation trouble by keeping moisture away from your foundation. These drains, which are wrapped in a special landscape cloth or plastic, vary in size and shape but are basically trenches that contain pipes with small perforations in them. The trenches are generally about 12″ wide and and drains positioned within them are covered with gravel or another type of rock. The design of the system allows the water to flow through the rocks on top of your French drain, down into the drain, and away from your foundation. This protects your foundation from water damage. French drains effectively end water problems by transporting the water a safe distance away from your house foundation. As a result, you can avoid foundation repair. The drain should slope no less than 1″ for every 8=10′ of length and exit at a ditch, the street or another safe area. When you have water-related problems, French drains are often a great solution. Of course, in some cases surface drains are more appropriate. These systems effectively stop issues affecting your foundation and prevent the need for foundation repair by minimizing the possibility of foundation cracks, a wet crawl space under your pier and beam foundation, or mold and mildew. Water causes lots of drainage problems and drainage systems such as French drains put an end to foundation damage. By reducing the amount of moisture that surrounds your foundation, you may avoid the need to fix it. For a free evaluation, contact us. We service the entire DFW metroplex.